Hi I’m Ben Souchek with Home Downsizing Solutions. Are you or your parents considering selling and downsizing your house for one of the many reasons that may be applicable to your situation. Maybe you just don’t need the space anymore and are wanting to get to a new living arrangement with less space, less up keep, less maintenance, and something that’s easier to take care of. Or maybe is all on one floor and does not have any stairs. Or other arrangements where the community may provide meals and take care of cleaning, and things like that. 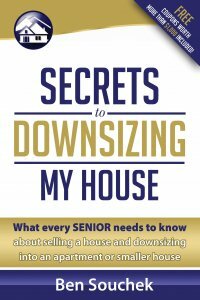 If you or your parents are in a situation where you’re wanting to sell and downsize your house, I’d like to introduce and offer you the solutions that we at Home Downsizing Solutions have been offering home sellers for over 10 years. We’ve been in business for over 20 years at this point. We can purchase a house without you doing any updates, any repairs. 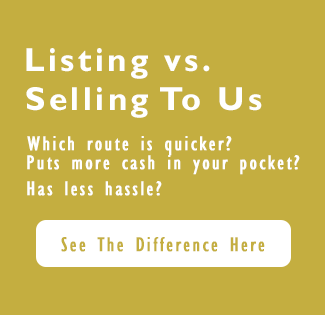 We can buy for cash, we can close on the date of your choice, so that it is very convenient, and stress free and hassle free to make that transition to a new home. If we can be of any assistance for you, please check us out at www.HomeDownsizingSolutions.com. I’d be happy to help in anyway that we can, thank you.